Ever wondered what those light nibblers are that never get hooked? Sometimes they’re small rockfish but other times they can be large light-biting rockfish and lingcod. Using smaller hooks and 2-inch grubs will quickly solve the mystery. For ocean purposes, Gamakatsu makes snelled leaders with baitholder hooks ranging from size 2 through 6/0. 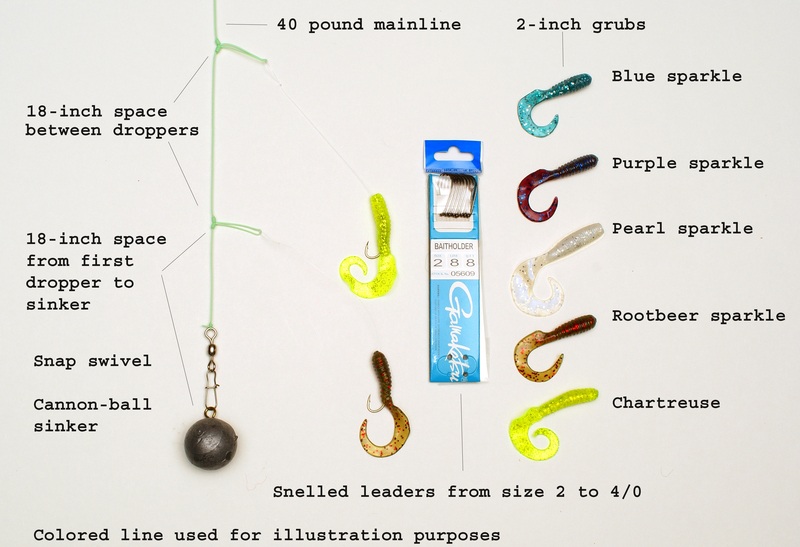 They come pretied with long, 24-inch leaders to allow you ample room for tying your own tailor-made leader-sizes. The lack of a loop on one end gives you the choice whether to tie your leader directly to a swivel or to make your own loops. The perfection loop is the perfect choice for most bottomfishing rigs.